These challenges are coming round way too fast, can't believe another month has flown by. I'm not normally a lover of flowers but for some reason this poppy stamp called out to me. I as always started by creating a background in my trusty craft artist professional, I have a few papers but with two little boys around storage can be a problem more often than not they end up ruined by the boys. By creating the backgrounds myself I can also change the colours to suit my project. 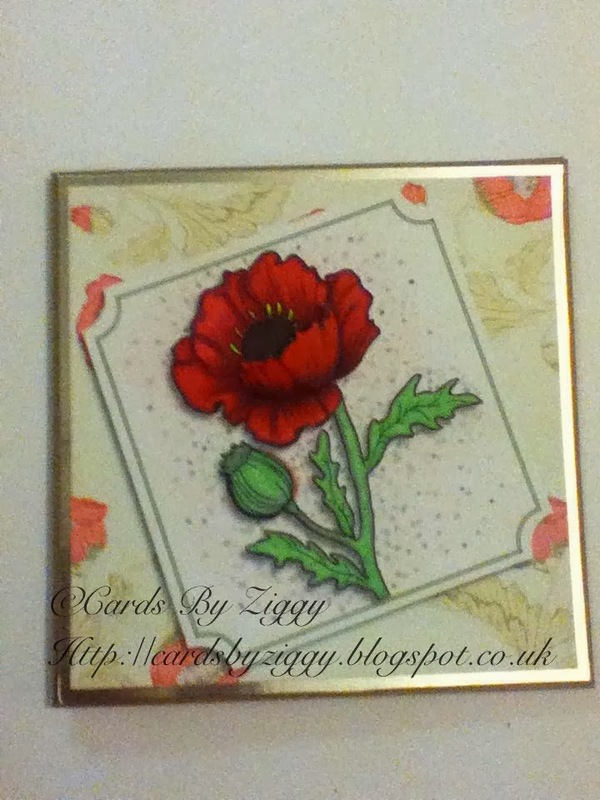 I coloured the poppies with my promarkers, then the final piece was mounted onto some silver mirri and then added to a 6x6 craft card blank. Beautiful card, image and coloring!